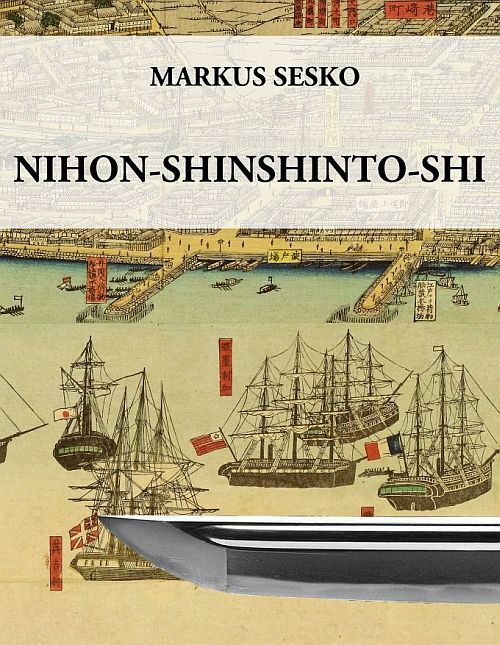 Out now, my “Nihon-shinshinto-shi”, the history of the shinshinto era of Japanese swords, which completes Dr. Honma Junji´s standard work „Nihon-koto-shi“ and my follow-up the „Nihon-shinto-shi“, starting from Suishinshi Masahide´s initiation of a new trend around An´ei (1772-1781) to the ban on swords issued by the Meiji government in 1876. As with the „Nihon-koto-shi“ and the „Nihon-shinto-shi“, the reader should be able to grasp a coherent picture of the backgrounds and scholastic activities around the Japanese sword at the end of the feudal era. The shinshinto era requires a slightly different approach than the shinto era, just like between shinto and koto. We have namely a combination of the trend towards old traditions initiated by the aforementioned Masahide on the one hand, and on the other hand the local trends which were established after certain students had returned to their home lands where they founded their own schools. Finally, the time scale must not be overlooked: The „Nihon-koto-shi“ had to deal with roughly 800 years, from the Nara to the end of the Muromachi period, and the „Nihon-shinto-shi“ comprised „just“ about 200 years, whereas the shinshinto era lasted only about a century. In this sense I hope that the „Nihon-shinshinto-shi“ serves, like the „Nihon-koto-shi“ and my own publication the „Nihon-shinoto-shi“, as a standard or at least as a reference work for this era of the Japanese sword. It can be purchased here or shortly also on amazon. And the eBook version for $ 30.00 is available here. And as a special introductory offer for those who haven´t got any of the books yet, I will sell the entire set of three volumes, i.e. „Nihon-koto-shi“, „Nihon-shinoto-shi“ and „Nihon-shinshinto-shi“ on request for $ 150 instead of $ 200. If you are interested, do not hesitate to contact me (email address can be found on the section Imprint on top of this blog).